What it takes to be a Yout… err Tuber star? Good looks? Great camera? Desk setup? Viral video ideas? A cuddly cat by your side? 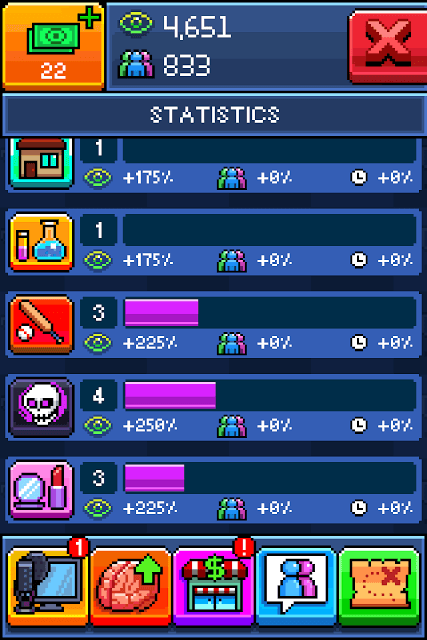 Well, PewDiePie’s Tuber Simulator tells you everything you wanted to know about a YouTuber’s life. The game lets you create videos, make them viral, get views and subscribers, make better videos, decorate your room and become the next big YouTube sensation. 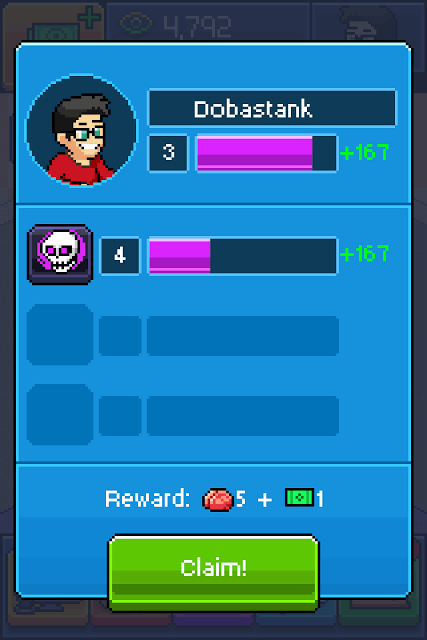 Developed by OuterMinds, Tuber Simulator is a nice gift for PewDiePie fans. There are lots of things to do besides making fun videos. You will have your own cubicle which you can decorate with fun items. You can even make friends and visit their rooms. With these beginner-level tips and strategies, you can get bonus views, more subs and get some decoration hints. You can also watch our gameplay video if you have just started playing. A video idea’s topic that matches a trending topic provides views boost. Before making a video, check “Trending Topics”. There are ten topics – Beauty (Make-up Kit icon), Comedy (Smiley), Dark (Skull), Gaming (Joystick), Lifestyle (House), Music (Musical note), Nature (Green Leaf), Science (Test-tube), and Sports (Baseball bat). The trending section can show up to 3 topics. Note down the topic icons on the trending section and then tap the Make Video button. Check whether a topic icon or topic icons shown underneath each video idea matches with the trending topic icons. Usually a matching topic icon shown below the video idea flashes on the screen. Tap that video idea to make a video and get views and subscriber boost. If you are lucky then a video idea may have more than one matching topics shown on the trending section. This would increase views considerably! Also, having the x2 Boost turned on and choosing a video idea with matching trending topic will also increase views. Items that are used to decorate a room can not only provide XP for leveling up a Tuber, but can also be used to upgrade topics. Upgraded topics can boost views and may also increase the number of subs you receive after completing a video. To upgrade a topic, you will need to purchase an item belonging to that topic. For example, purchasing the Nintendo Entertainment System will upgrade “Gaming” topic (Joystick icon) to a certain level. An upgraded Gaming topic will provide a views boost when you create a Gaming video in the “Make a Video” section. To see a list of topic-specific items, all you have to do is tap the Shop icon and then press the Topics icon – the first icon located on the left side of the screen. Next tap a topic in the “Categories” section to see what items are available under that particular topic. Example: If you tap the skull icon (Dark), you will see only those items that belong to the Dark topic. Now if you purchase a “Dark” item, such as a Candle Set, the “Dark” topic will be upgraded to a particular level. 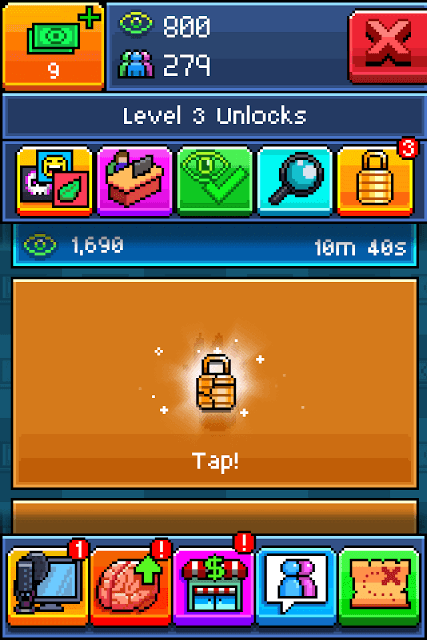 You can check a topic’s current level by tapping on your tuber’s avatar pic at the top-right corner of the game screen. It will also show percent boost on views or subs or time boost. Now when you go to the Make a Video section, select a video idea that has a Dark icon underneath it, you will get a boost in views or subs depending on the current level of that topic. You can purchase another candle set to upgrade the same topic further. So yes you can purchase two candle sets to upgrade Dark topic. First, tap a video that takes more time to create. Next, purchase an item that takes several minutes or an hour to arrive at your room. You can purchase more than one item or make more than one video in case you have unlocked another video slot via the Knowledge tree. Now double-press your iPhone home button and go to Settings. Don’t close the app. Under Settings, tap General > Date & Time and turn off “Set Automatically”. You can choose to set a day ahead of the current date or the time 3-4 hours ahead of the current time (depending on the time taken by the items to arrive/video to complete). Now double-press the home button again and tap on the opened app. You will notice that all tasks set up by you have been completed. If you want to get extra views from your videos, just tap the Boost x2 button. You will need to watch a 30-sec video to activate it. Once enabled, Boost remains active for an hour or so. Make the most of this one hour to create as many videos as you can to double your views. Try to make those videos first that take less time to complete. This way you will be able to generate more views for that period of time. Of course you would still generate views, including bonus views because of the boost, if you close the app and open later. The game will display the number of views earned, including bonus views (in case you have enabled Boost) while you were away. But if you are playing the game, you should start making videos as long as Boost is active. Tap on those video ideas that take less time to complete and have topic(s) that matches with the trending topics. This way you will get plenty of views (Boost + Matching topic bonus views). 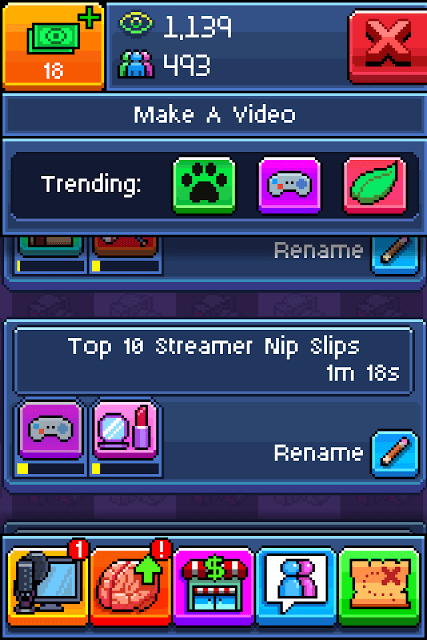 While your videos are generating views, you can purchase items and decorate your rooms. PewDiePie Tuber Simulator’s Knowledge Tree is nothing but a Perk system that lets you acquire knowledge by spending brains. Each “Knowledge” provides a unique perk. For example: “Publish 2” Knowledge lets you publish two videos at the same time, which simply means that you can make two videos at the same time instead of one. You will need brains to purchase an unlocked knowledge. Once purchased, you will get that boost or perk permanently. To complete some perks, you will have to purchase them multiple times before you can unlock another. The Views Boost knowledge is one example of such a perk. The first perk shown on the screen, called “Views Boost”, will increase views by a certain percentage every time you purchase it using brains. You will also have to purchase “Views Boost” 10 times to complete this knowledge and only then you can unlock the next knowledge, provided you also have collected 2500 subs. Leveling up your Tuber avatar. Place items on your room to gain XP and level up. Upgrading a Topic. Purchase a topic-related item to upgrade a topic. You can purchase the same item again to upgrade a topic further. Completing the starred Epic quest. You will also need plenty of subs to unlock Knowledge. The next tip shows you how to get subs. Tap the lock icons to get more subs. When your Tuber avatar levels up, you unlock more items. To unlock them completely, you will need to go to the Shop menu and tap on the golden lock button. It can be found just beside the magnifying glass button under “Affordable Items”. Now tap each golden lock. You will receive subs (and views) after tapping a lock icon. Keep tapping until you reach the end. Do this every time your tuber avatar levels up. Tap the flying eagle. You may get views, bux or subs. If you get subs, don’t forget to press the x3 button. You will just have to watch a 30-sec video to triple the number of subs you receive. Login every day to get daily rewards, which include views, bux and subs. Also don’t forget to complete quests. Tap the map icon to your right to access the quests section and note down the tasks. Complete those tasks to get views and Subs. You may have to unlock slots if you want various quests. You can unlock one by watching a video or by purchasing bux. Starred quests provide more subs than normal quests. Keep an eye on upgraded topics. When an upgraded topic reaches a certain level, it may also provide a percent increase in subs along with views boost. Noticed that cute pink squid when you are in landscape mode? Well, he is Snappie and tapping him will let you take a pic of your room. You can save the pic to your devices or share it with your friends on social networking sites. You can get that adorable squid permanently in your room. All you have to do is reach level 21 (as of writing this post) and break the golden locks to unlock it. However, it costs a LOT of views – around 4 million views. So make sure you have earned plenty of views before buying Snappie. So you want to turn your tiny ugly-looking room into a stylish cubicle? You can spruce up your room by changing the walls and floor and place snazzy items such as show pieces, consoles, wall murals, potted plants, desk items etc. There’s also a living, breathing watchful cat, so don’t forget to buy it. To change the color of your walls, tap the shop icon and then tap the magnifying glass icon at the top. A new “Filters” section will be shown on your screen. This is where you can find unlocked items based on different categories such walls, office, plants, chairs and tables etc. Now tap the second icon beside the chequered icon. Tap a wall color of your choice and viola! Your walls will get a complete makeover. You can also change floor color by placing new carpet. Tap the 4th icon to select a proper carpet for your room. You can design your room in various ways. The game lets you create 2 more rooms and design them the way you want. You can then choose the best room to show it to your friends. What you can do use Boost and then play Puggle once or twice to reduce shipping time. 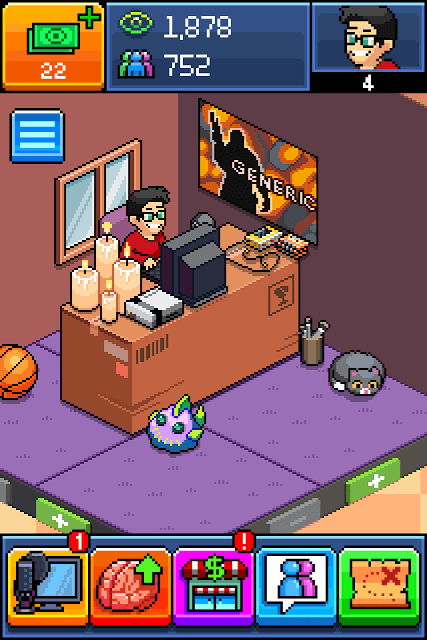 When you order an item, you will notice a tiny van icon just below your Tuber avatar pic in your room. Tap it and then press “Boost”. Watch a 30-sec video to get your shipping time reduced. 1. Tapping the “Add Friends” button and entering any random name. You can type anything you want. I typed Shiva, John, Giddy, Baggy etc. and found some really cool tubers. 2. Visiting FCSwap and finding friend’s channel names under “Bumped Codes”. Note down their names and then enter their names on the Add Friends blank space to add them. Here, you can also post your channel name for others to find you out. How do you rename a video? I have a quest that says I have to rename a video, but the problem is I don’t know how too rename a video. Any help on it would be greatly appreciated! Under “Make a Video” tap the green “Make Video!” button. You will see a pencil icon and “rename” on the lower-left corner of each video. Tap it and enter a name of your choice and then tap “OK”.